Finally, a bunk design that's as stylish as it is sturdy! Our Farm Bunk offers maximum flexibility for kids and families. Assemble as a twin-over-twin bunk or side-by-side Farm twin beds. 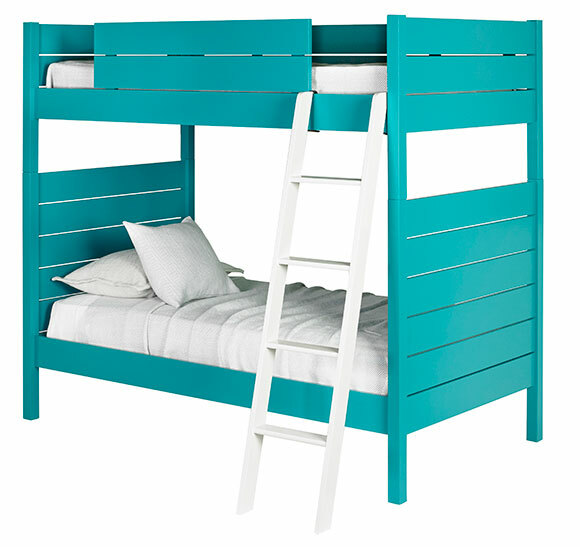 Choose one color for the bunks and another for the ladder. Shown in Eliza Green and Lichen. Accomodates two standard twin mattresses. Also available as a full-over-full.